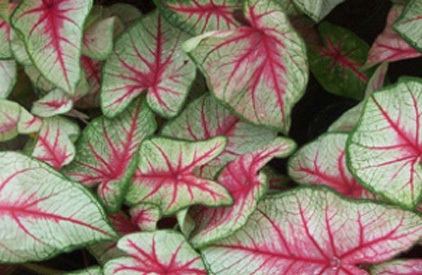 The Pilot Club of St. Augustine is once again taking orders for caladiums.. The bulbs will be available for pick-up from 9 a.m. to noon March 9 at Watson Realty, U.S. 1 South. Bulbs are available in the colors of red, pink and white. Donation is $10 for 12; $20 for 25; $35 for 50; and $65 for 100. Due to inclement weather, the farm supplying the Pilot Club with the bulbs has increased its price, but the local club has voted to absorb the increase and maintain the same price it has charged for a number of years. To place orders call: 824-1268; 471-2246 or 692-2663 and leave a message. Also available March 9 and just in time for St. Patrick’s Day will be Hastings fresh-from-the-field cabbage for a donation of $1 per head, with proceeds going to the Donnie Heymen scholarship, awarded yearly to high school carpentry students.. Proceeds from the sale of the caladiums support a variety of Pilot Club-sponsored projects ranging from youth and patriotic activities to projects supporting those with brain injuries.